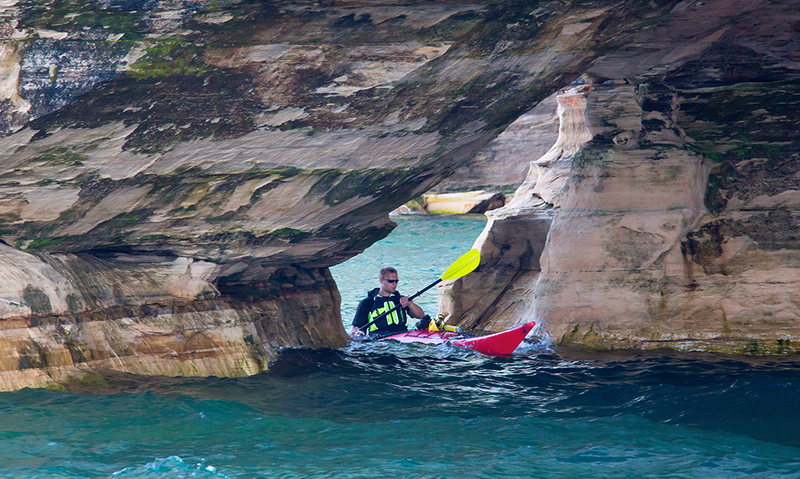 Paddle where it counts - launch offshore! 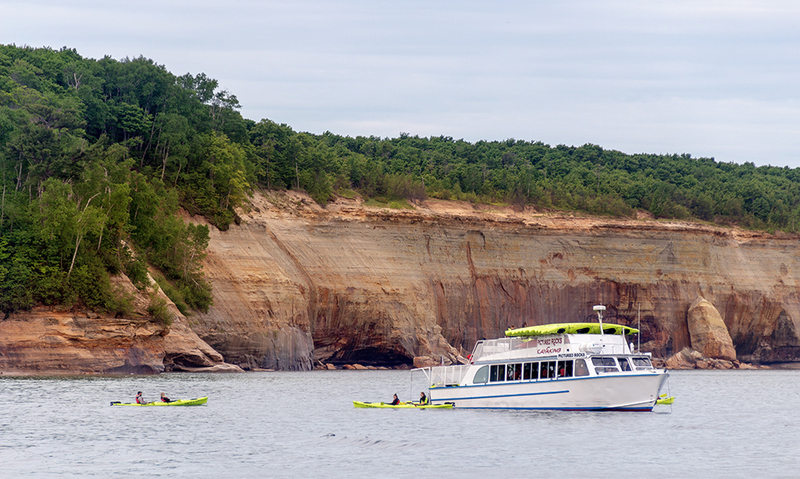 Skip the unnecessary work with the only area tour that shuttles you by boat, launching your kayak right where the park’s best scenery begins! 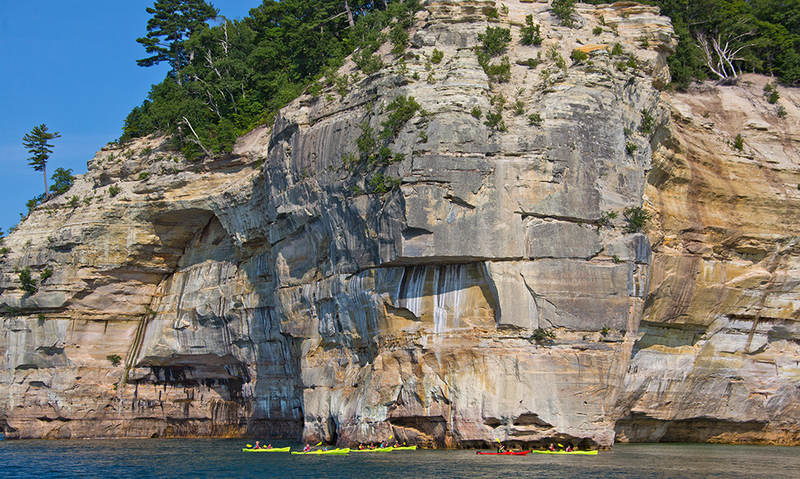 Launch offshore to kayak the most notable sections of Pictured Rocks from Painted Coves to Chapel Rock. Explore more with an offshore launch! 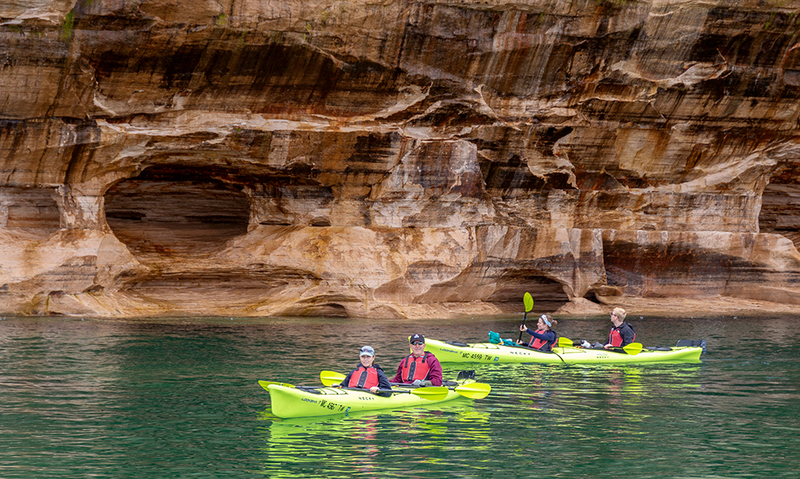 We’re the only trip along the Pictured Rocks National Lakeshore that shows you the best of the park. 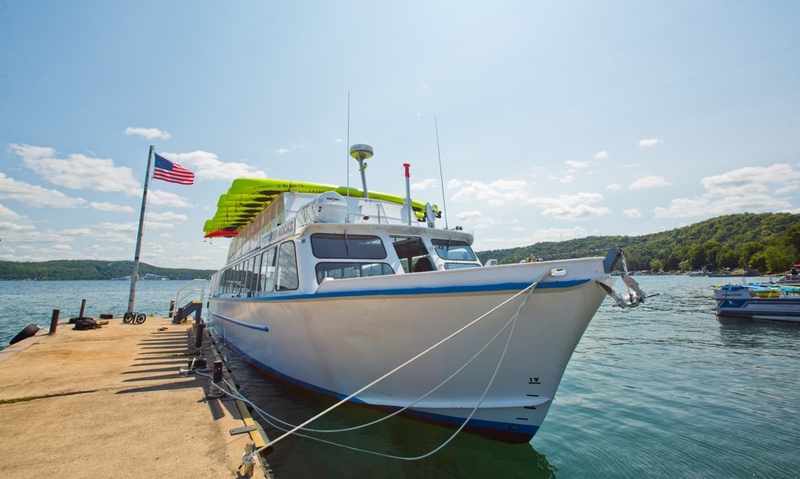 Cruise aboard our 56-foot passenger vessel and launch your kayak right where the most notable scenery begins. 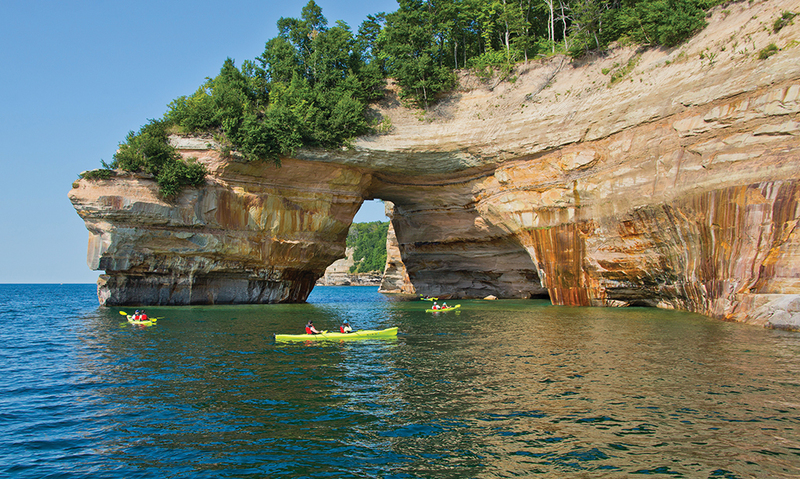 Trips are approximately 4-5 hours long with around 2 hours—or 5 miles—of kayaking time. 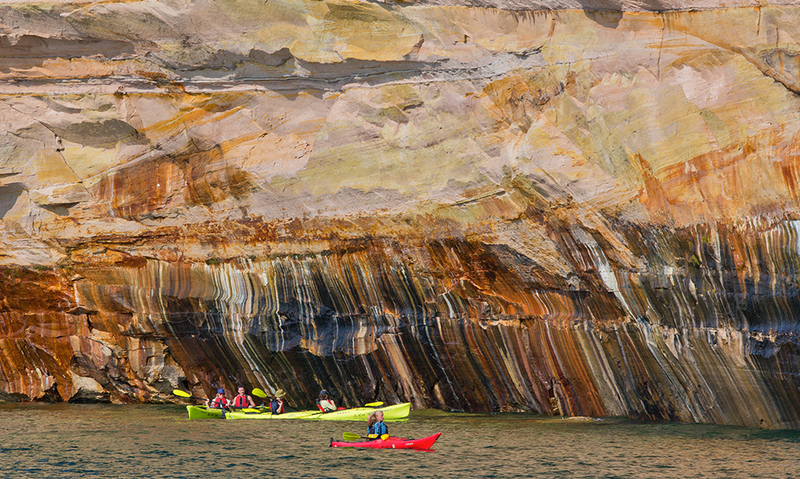 Your tour begins at the East Channel of Munising Bay and heads into Lake Superior where you will launch your kayak just past Painted Coves. 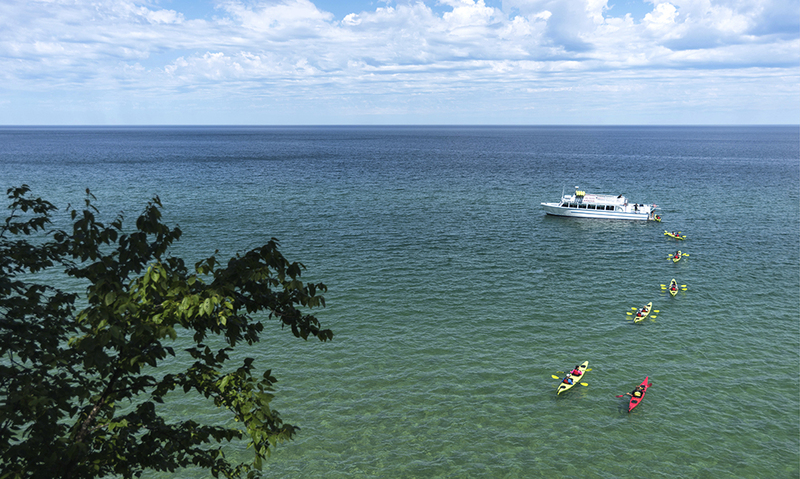 Once finished with the paddle portion of the trip, board the boat for a ride back to shore. 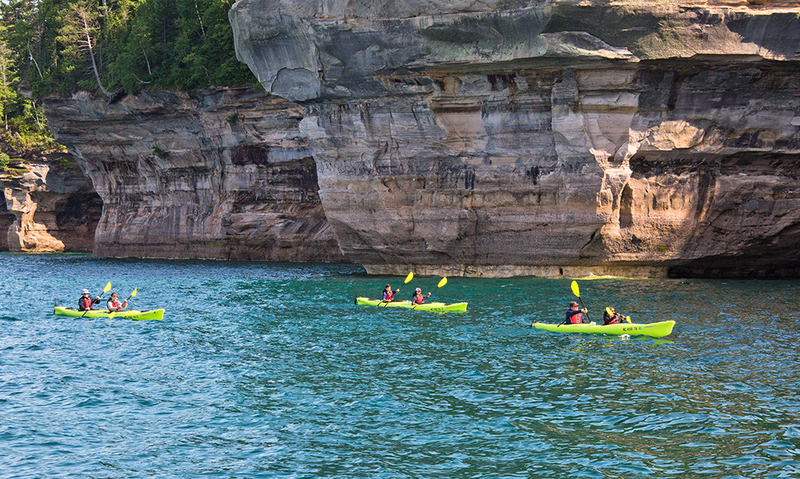 Book your 2019 trip via the Book Now button or by calling (906) 387-5500. 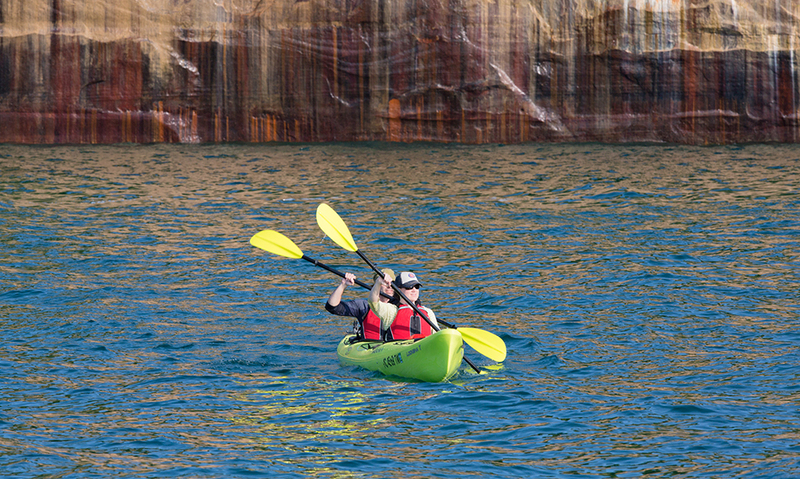 We paddle in tandem kayaks. 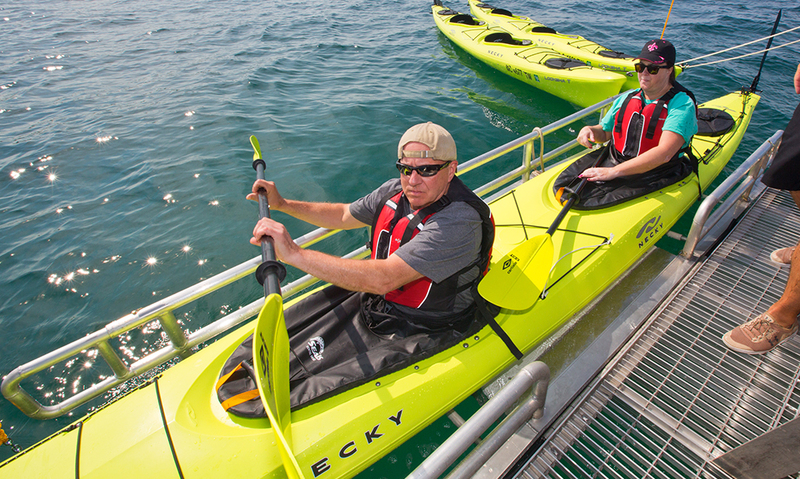 If you have an odd number in your group, we can easily accommodate by pairing you with another paddler. Arrive at least 30 minutes prior to confirm your booking, receive gear and review safety protocol prior to boarding. Tours will not be delayed to accommodate late arrivals. View our refund and cancellation policy. 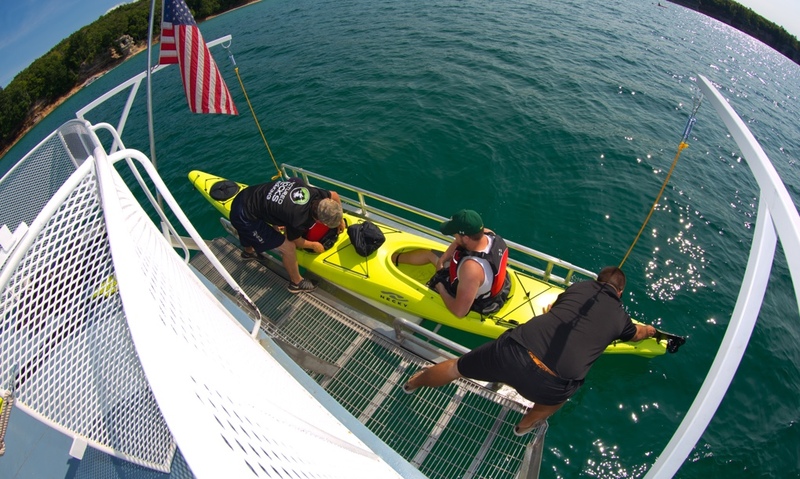 Keep in mind that we paddle in tandem kayaks based because of the improved stability. If you have an odd number in your group or you are a solo paddler, you will be paired with another kayaker. Please arrive at least 30 minutes prior to confirm your booking, receive gear and review safety protocol prior to boarding. 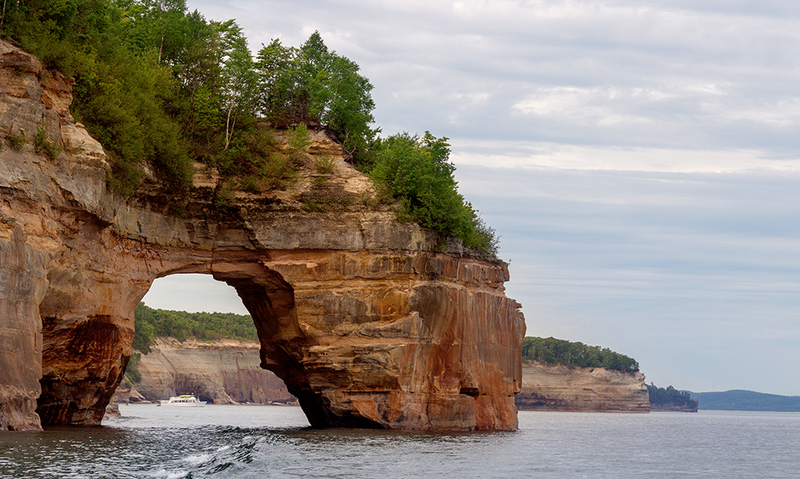 Munising, Michigan is located in the Eastern Time Zone (EST). 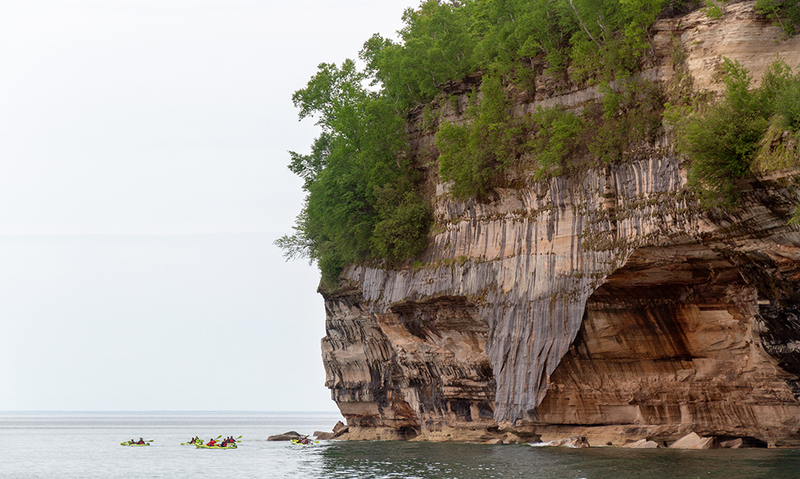 Be mindful of the clock when traveling to kayak with us. Paddling will be done with the wind at the paddlers back whenever possible. The tour will run weather permitting with a safety first mindset. 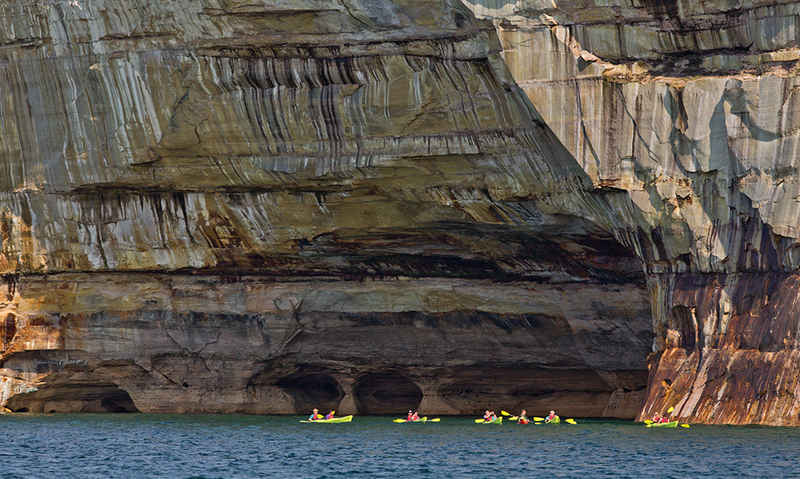 A back up trip will be offered in case of weather conditions where we cannot safely kayak Pictured Rocks. No alcohol or drugs are permitted on the tour. Let us answer your questions before the trip.